An Arnia hive monitoring kit, even at its simplest, consists of several components. The first thing you must do, before you take it to your bees, is fire it up and make sure all the constituent parts are working and that they are speaking to each other. The Gateway unit gathers information from all the monitors in an apiary and beams them up to the Mother Ship once daily. 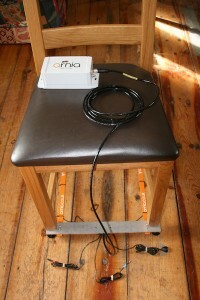 The box on the left in the picture below is a Gateway unit – note the aerial. The box on the right is a weather station. I’ll get to that in a minute. I successfully fired this one up here where the mobile signal is so pathetic we have to head for a particular spot in the yard to take calls but the Gateway manages fine. To fire up the Gateway you unscrew the back plate and remove a plastic strip holding the batteries apart. After a couple of seconds a green light deep down inside starts to wink – job done. Replace back plate. This is a hive monitor. The other one, directly in front of the radio, is a microphone and this one measures the bee noise levels – buzzing and flapping and ticking etc. It needs to be attached to close to the entrance. As we are in the middle of winter here – I’m going to tape it to the floor – it seems like the easiest option but I might change that when the weather improves. Firing up the monitors is the same as the Gateway. Remove back plate. Remove plastic strip. Watch for winking green light. Replace back plate. 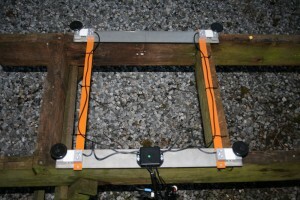 The Basic Hive Scale is a hive scale and monitor rolled into one. Click here for the video overview. The hive scale seems strangely bendy when you put it together but it is designed to be flexible to cope with wonky old equipment like mine. 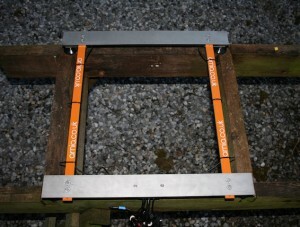 It can be adjusted horizontally to fit any hive stand and is also equipped with adjustable feet so it can be levelled if stand isn’t and lets face it they aren’t often. 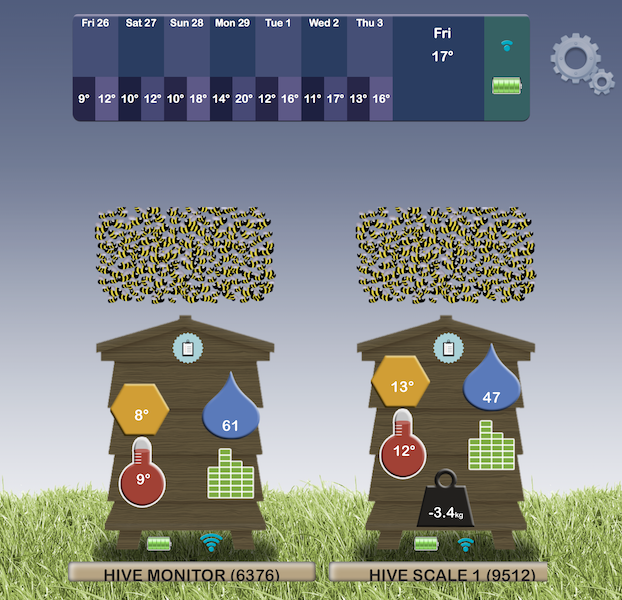 The scale is designed with mesh floors in mind – it allows the bees to ventilate and the frass to drop through. Nothing worse than a build-up of hive-debris and associated moulds and wriggly wild life. 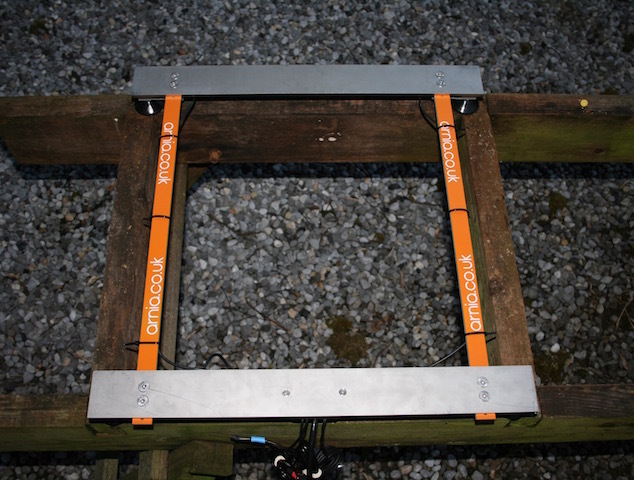 The feet screw into the load sensors but they should not be screwed so far in that they come up against the carcase as this would disable the sensors. 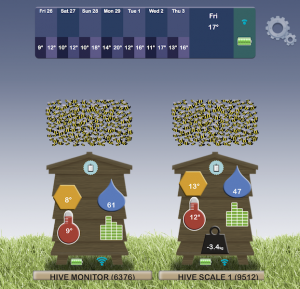 The Hive Scale is fired up in the some way as the Gateway and the Hive Monitor. If you are lucky you will also have Weather station. Lucky me. The box on the right is the weather station. It collects the rain and measures it before draining out underneath. The thing on the far right is a clothes peg. 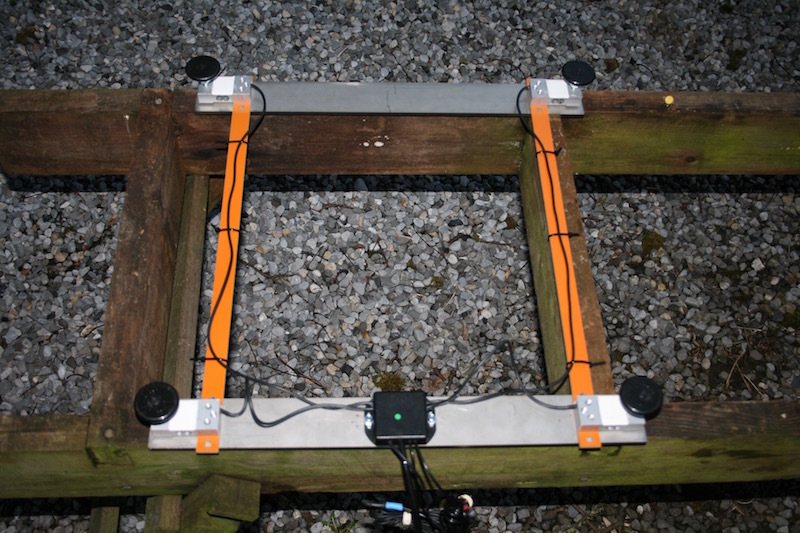 The Gateway and the Weather Station can be screwed to a board and set out in the open. The weather station in particular needs to be out in the weather. I won’t explain why. 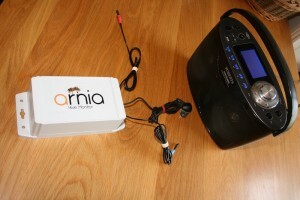 The User interface is located on the Arnia website. When you get your remote monitoring system this is set up for you. To check that your gadgets are all talking to each other and that the Gateway is sending the information to the Interface you just log in. This is the screen that will greet you. Note the huge clouds of bees hovering over each hive – this is because the monitors have been listening with us to the very exciting General Election on the radio. Each icon on the hive fronts lead to graphic displays of those things. A click on the cogs icon far right will take you to the dashboard. The monitors screen (below) will show you whether the components of your system are speaking to each other. If they aren’t there will be no communication data here. Click this photo to see what I mean. 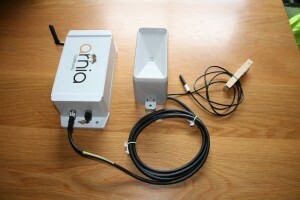 Once you are satisfied that everything is working ok then you are ready to install the monitoring system at your apiary. Next week hopefully the weather and my torn knee meniscus will have improved sufficiently for me to do that.